Just south of Olancha, off US Hwy 395 is a dirt road that takes you 5 miles up to an oak canyon lined with rocks. There are several primitive camp sites along the Walker Creek. A high clearance vehicle may be needed in some sections, but 4×4 is not required. Small RVs might attempt this, but if the first mile frightens you, turn around while you’re ahead. 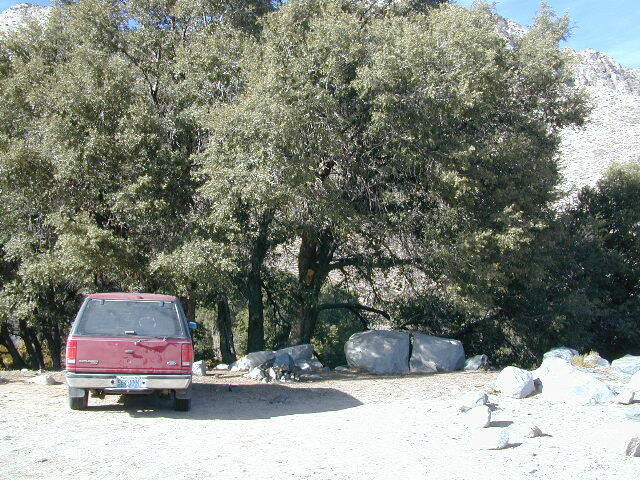 Shady picnic or camp spots above 4000′ elevation. Hiking trails at the end of the road lead deep into the mountains. One on the right takes you to waterfalls. 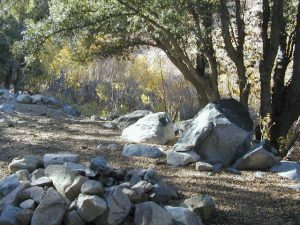 The trail on the left will take you to meet up with the Sage Flat Trail, which leads up to Olancha Pass, Summit Meadows & a small lake, in the South Sierra Wilderness. 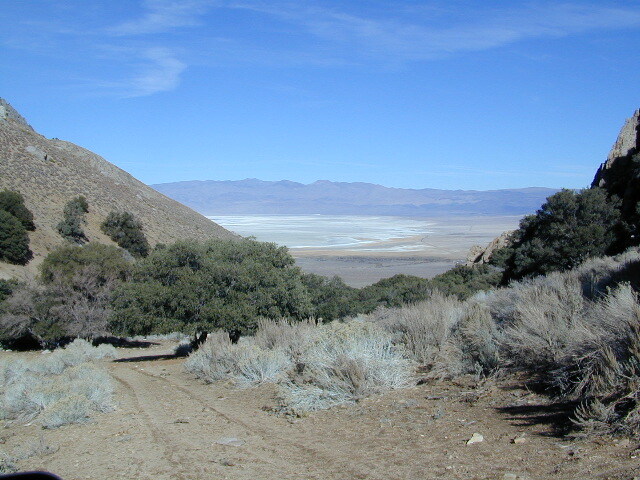 The Pacific Crest Trail runs the ridges here, just west of Monache Meadows, which is at 8000′ elevation, way above here – up on top. US 395 highway – the dirt road turn off is very close to a gas station, and it maybe be signed, or not. The gas stop may be in business, or perhaps not. This is rural California, wide open desert and things come and go quickly. 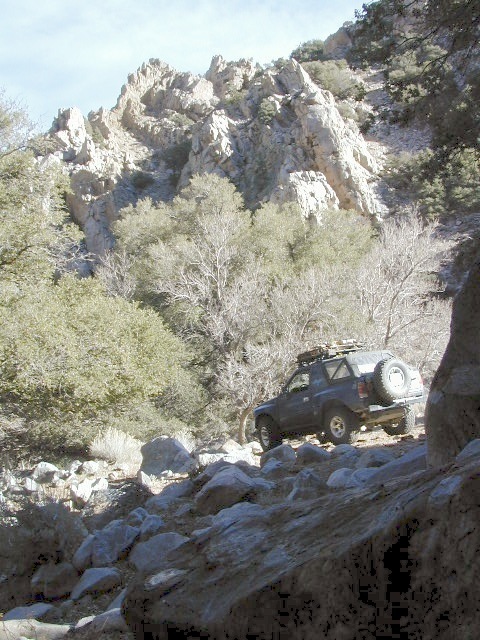 On a good topo map, located Olancha Creek and Summit Creek to the south. 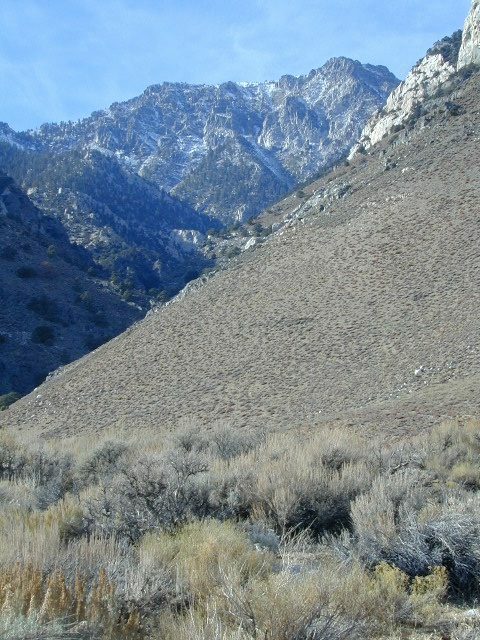 Walker Creek is the canyon in between those two, just so know where you are going and can visualize. This one is an easy-to-miss dirt road turn off – especially if you are going over 50 mph.